An adult volunteer has been nominated for a prestigious honour after bravely treating a teenager in distress after an accident. 2 Lt Mark Farmer, from Portsmouth, was visiting friends at a farm last September when the accident occured. People on the scene called Mark over, knowing he knew first aid, and he quickly ran to help to a 16-year-old boy who lost three fingers on a log cutter. For his brave and quick actions, Mark has been shortlisted for a St John Ambulance Everyday Hero of the Year Award. Mark, who teaches first aid, helped the boy by dressing the wound and treating him for shock. He wrapped the amputated fingers in cling film and a cloth before placing them in a bag of frozen chips before the ambulance arrived. While he dealt with the boy, Mark also ensured bystanders who witnessed the incident were being looked after by his wife Alyson, who is also trained as a first aider. Thanks to Mark, after 14 hours of surgery the boy had two of his fingers re-attached. 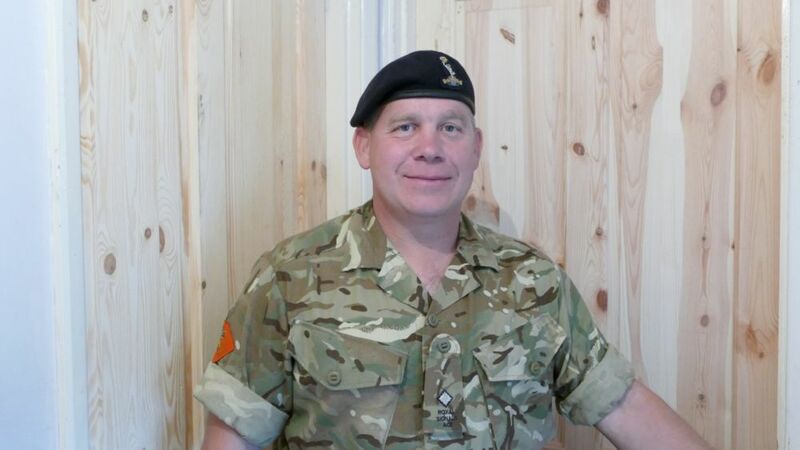 Mark is a detachment commander with 6 Troop Horndean detachment in the Hampshire and IOW ACF. "I can't emphasise enough the importance of first aid," Mark said. "There's not many organisations that teach young people that level of first aid. I've got this saying – first aid, second nature. I'd love for every cadet, every young person in the country to be taught that level of first aid." The awards will take place in London on September 28.